Mr. PAUL. Madam Speaker, later today we will be dealing with the VA HUD bill; and I want to compliment the Committee on Appropriations for deleting the $24.5 million for the selective service system. There will be an attempt to put that money back into the bill. I think that is a serious mistake. The military has not asked for the selective service to continue. We do not need it. It is a serious abuse of civil liberties of all 18- and 19-year-old to continue this registration. The registration is totally unnecessary. This $24.5 million could be better spent on veterans affairs or some other worthy cause, but to put the money back in is a serious mistake. I would like to remind my conservative colleagues that Ronald Reagan had a very strong position on the draft and selective service. He agreed that it was a totalitarian notion to conscript young people and strongly spoke out against the draft whenever he had the opportunity. I also would like to remind my conservative colleagues that if somebody came to the House floor and asked that we register all the guns of America, there would be a hue and cry about why this would be unconstitutional and unfair, and yet they are quite willing to register their 18- and 19-year-olds. I do not understand why there is less respect given for 18- and 19-year-olds than they give for their own guns. I strongly urge that we not fund the selective service system today. 1999 Ron Paul 90:1 selective service system probably should be capitalized: Selective Service System. 1999 Ron Paul 90:2 all 18- and 19-year-old probably should be plural: all 18- and 19-year-olds. 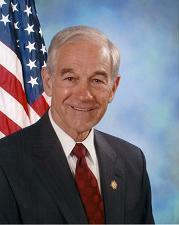 1999 Ron Paul 90:5 selective service system probably should be capitalized: Selective Service System.